The history of U.S.-Haiti relations is paved with good intentions. Amy Wilentz on Obama’s opportunity—and the legacy he’ll need to overcome. President Obama has declared that the U.S. will do what it takes to help Haiti, and doubtless he is sincere in his ambitions. But other presidents of the U.S. have promised as much, and where has it led? Haiti and the United States have had a torrid, twisted relationship for more than two centuries. It bears remembering that the Haitian revolution against France began only fifteen years after the U.S. declared its independence from the Old World. Twelve years later, in 1804, Haiti too was an independent republic. The biggest difference between the two baby republics—both of which had based their demands for liberty in part on the declaration of the rights of man adopted during the French revolution—was this: one was white and the other black. A few other differences: one was slave-holding and the other the product of revolutionary slaves. One was reactionary and retrogressive (that would be the plantation-based, virtually feudal U.S.), the other almost unbelievably modern and forward-looking (that would be the—at least briefly—citizen-ruled Haiti, sans slaves). Oh, one more difference: The U.S. tried to destroy the new Haitian republic, while the Haitian slaves proved such a thorn in Napoleon’s side that when he finally lost Haiti after a protracted war, he also gave up on securing a permanent French foothold in Louisiana. He turned around and sold the territory to the new American republic for a song, just to be rid of that exorbitant military obligation. Therefore the U.S. can get down on bended knee to the Haitian slaves and thank ’em every day for making us a fully continental country. Sea to shining sea, courtesy of Toussaint l’Ouverture. What the country needs is help it can be a partner in, a meaningful partner, consulted and empowered, instead of treated like a marionette or a disabled, depraved toddler. The U.S. did not recognize Haiti for more than twenty years after the black republic was established and even then the recognition was grudging at best and included blockades and diplomatic pressures of the most brutal kinds. In its history with Haiti, the U.S. at various times has run the central Haitian bank, written the Haitian constitution, installed puppet presidents, run the legislature, bribed officials with money and jobs, looked away and indeed encouraged corruption, and all in all treated Haiti and Haitians with a disrespect that verged on loathing. “Imagine! Niggers speaking French!”said William Jennings Bryan, then secretary of state under Woodrow Wilson, upon learning about Haiti just months before the brutal 19-year U.S. occupation began in 1915. That occupation was a profound experience for Haitians and shapes their thinking about the U.S. to this day. Light-skinned mulatto Haitians were cosseted by the Marines while poor black-skinned Haitians were roped together like slaves and made to work on infrastructure projects for which work they were usually given just enough food to keep them working. The occupation ended in 1934, and the regime of Francois Duvalier, who used the nascent idea of black power to propel himself into office, was an obvious reaction to the style of the American repression, though he too would soon show his repressive fist. His first and primary target: the powerful mulatto elite. • Eric Pape: Haiti Dictator’s Poor-Man Exile?• The Daily Beast’s Full Haiti Coverage The torrid dysfunctional romance between the two countries has continued right up until the present day. The U.S. under Bush I encouraged a coup d’etat against Haiti’s first freely and fairly elected president, Jean-Bertrand Aristide. The U.S. under Bill Clinton (“He is my twin,” Aristide told me in 1993) put Aristide back in power. In 2004, the U.S. under Bush II encouraged and possibly subsidized another coup against Aristide, so that today we see the bespectacled former Haitian president in tears in his exile in Pretoria—in one of his only public appearances since the 2004 coup swept him to Africa—weeping over the earthquake victims and hoping to use this moment of national anguish as a springboard to return to his native land. All of which leads us back to Obama. Haitians adored him during the last election. He’s of African descent so maybe he has a personal sympathy for the Haitians’ plight. (He sounds as if he does, but that may not be conclusive.) He’s got the Haitian-born Patrick Gaspard right there in the Cabinet as his director of political affairs—and don’t all the Haitians know it? Clinton too has a soft spot for Haiti, but possibly Obama is more sincere and steadier, less passionate and less tied in with the elites. This leaves us with a good, well-meaning president in the White House, a catastrophe on the ground, and more money coming into Port-au-Prince than has ever been thrown at Haiti before. We also have a U.N. special envoy, Bill Clinton, who’s had the wisdom to choose Dr. Paul Farmer, a real on-the-ground Haiti expert and democrat, as his deputy. Will the results be any different from the poor outcomes Haiti has had with the funds that have been shoveled into it and the mixed attention paid to it in the past? I think the results can be much, much better, though the burden after the earthquake is almost impossibly heavy. What’s needed is international cooperation, a “coalition of the willing,” and a refusal to go forward without the inclusion of President Rene Preval’s government at every level—whoever’s still alive, that is. Empower the Haitian government on issues of infrastructure creation, housing construction, employment in infrastructure and construction projects, medical modernization and health-care delivery. What the country needs is help it can be a partner in, a meaningful partner, consulted and empowered, instead of treated like a marionette or a disabled, depraved toddler. What it does not need is more of what the New York Times’ David Brooks suggested Friday as a remedy: paternalism. Check the books, Davie. Call Dr. Farmer! Haiti has had an experience of paternalism for about a century, and it didn’t work. Partnership, cooperation, coordination—these are what’s going to pull Haiti out of this crisis. Amy Wilentz is the author of The Rainy Season: Haiti Since Duvalier (1989), Martyrs' Crossing (2000), and I Feel Earthquakes More Often Than They Happen: Coming to California in the Age of Schwarzenegger (2006). She is the winner of the Whiting Writers Award, the PEN Martha Albrand Non-Fiction Award, and the American Academy of Arts and Letters Rosenthal Award. 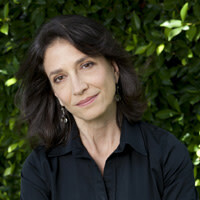 She teaches in the Literary Journalism program at the University of California at Irvine.